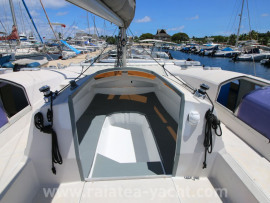 Open sail catamaran, perfect for sailing in French Polynesia. Complete refit in 2015. EDEL CAT 33 catamaran, built by EDEL STRAT shipyards in 1985, designed by Sylvestre LANGEVIN. 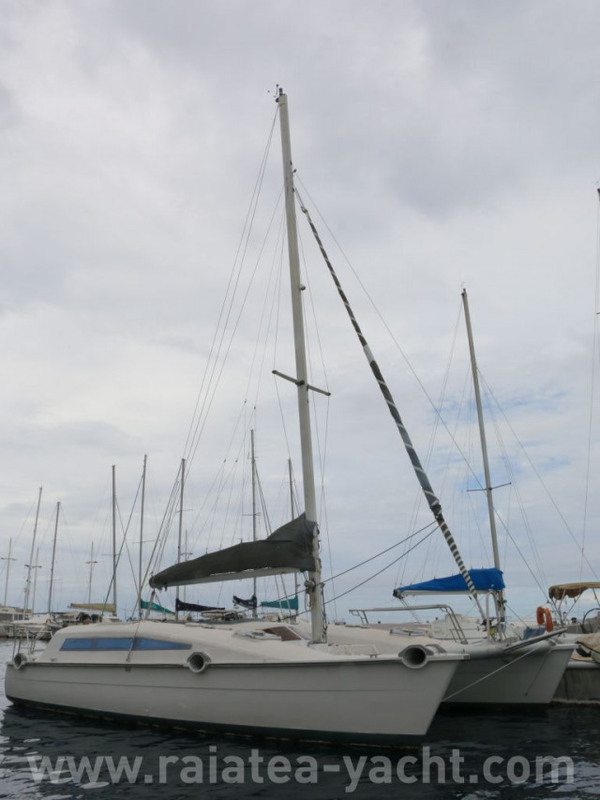 EDEL CAT 33 made its mark on history of yachting, providing an original and " distinguished " signature (cruising and coastal raids). 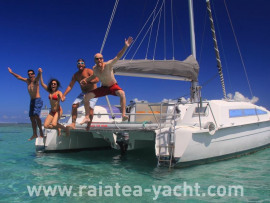 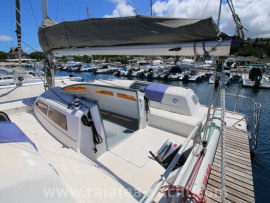 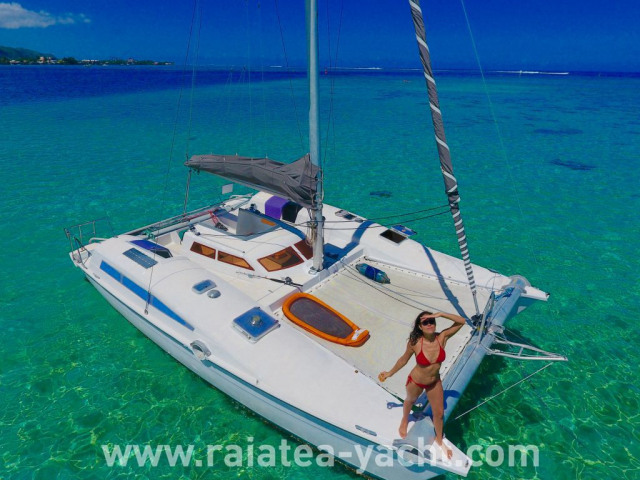 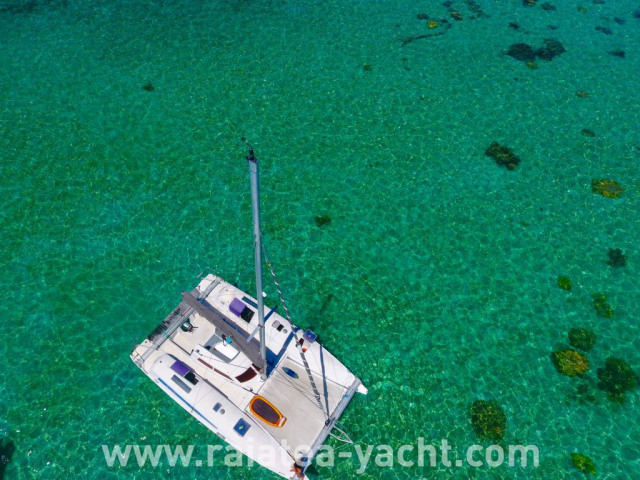 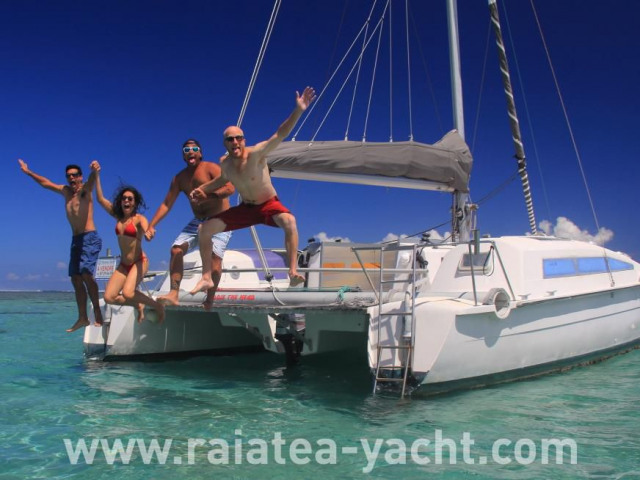 She's been sailing during 15 years in French Polynesia before her current owner bought her, undertaking a complete rearrangement of the boat, aiming at producing an even more a streamlined result. 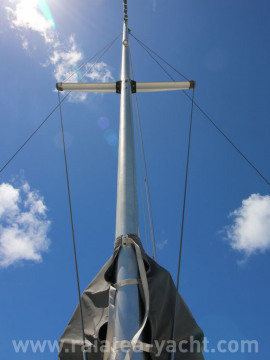 Thus, after a meticulous checking (running rigging 2015, mast dismounting for check and service, etc. 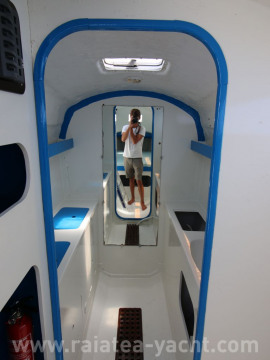 ), the owner drew this boat according to a coastal cruising programme. 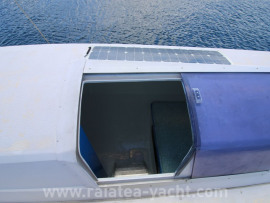 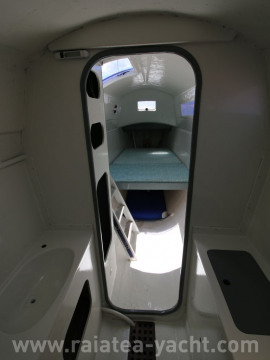 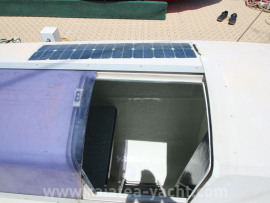 The cockpit is transformed in an "Open" version (see pics), the fore crow's-foot stay was replaced by a normal stay, fixed to a huge aluminium plate, reinforcing the fixation on the crossbeam, a bowsprit was added, the equipment is completely renewed in 2015 (battery, electric panel, solar panels, etc.). 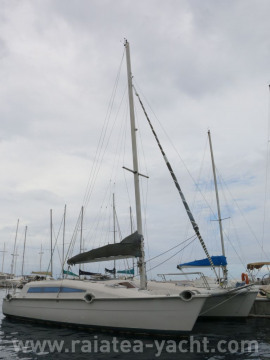 Current owner changed is plan, and decide to sell the boat. 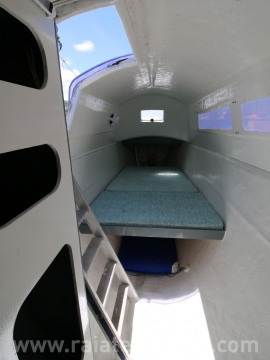 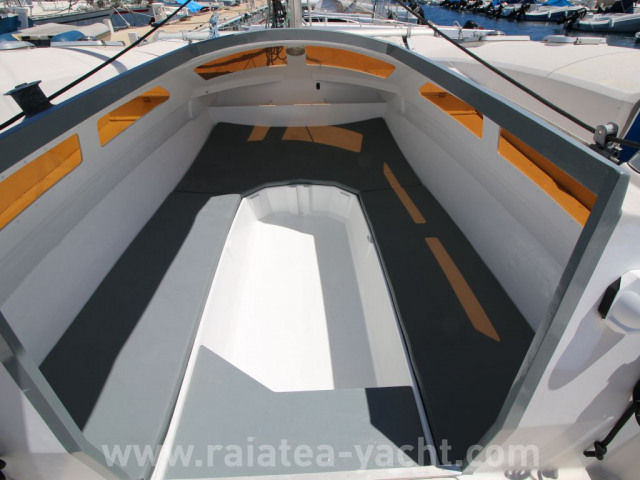 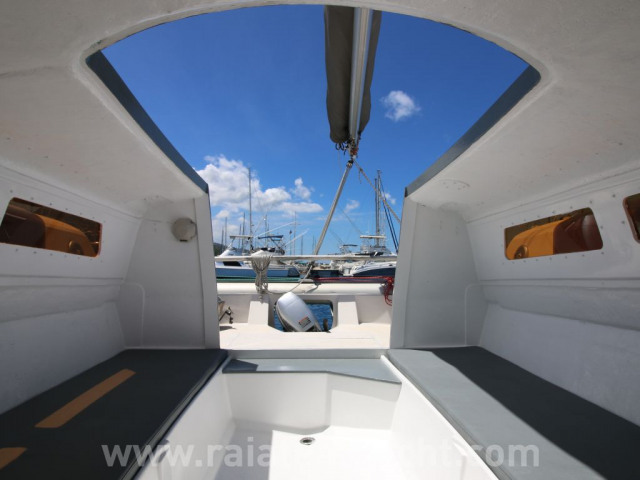 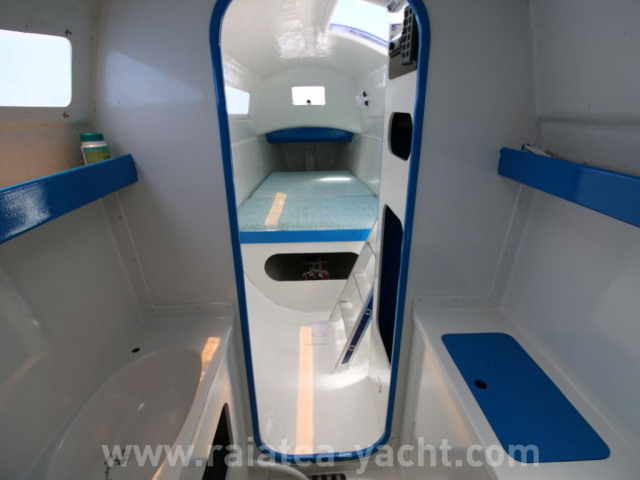 You have before you a fully refit catamaran, nearly new. 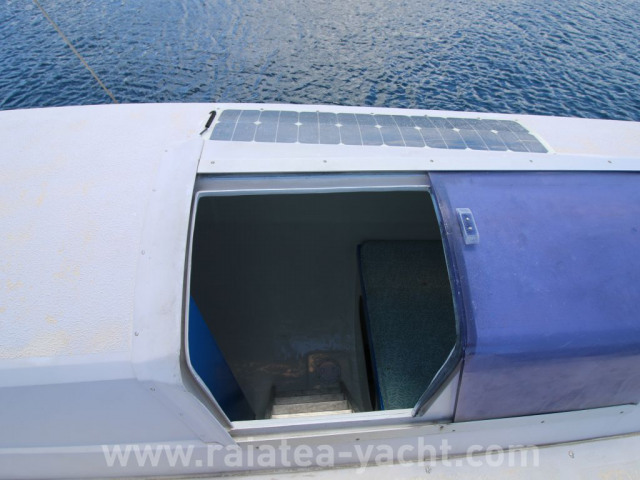 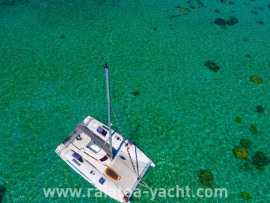 Fast, safe and easy to sail catamaran. 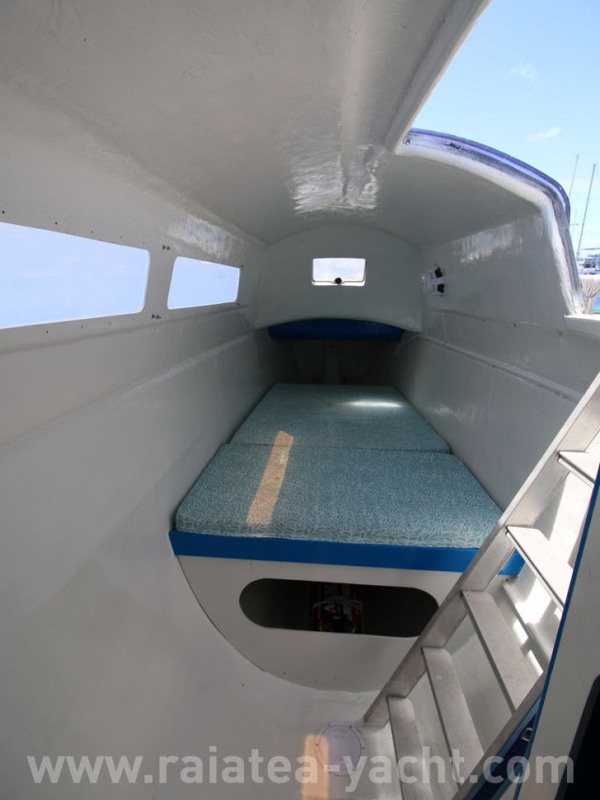 Pleasant steering. Full refit (2015), invoices available. Sailing programme fitted for Polynesia. Not many expenses to plan.